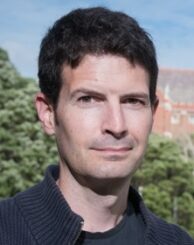 Simon is Professor of Criminology at Victoria University of Wellington and a member of the Scottish Centre for Crime and Justice Research at the University of Glasgow. As well as coordinating the Trafficking Culture project, Simon is Programme Director for SCCJR’s MSc in Transnational Crime, Justice and Security, Associate Editor of the Howard Journal for Criminal Justice, a member of the editorial board of the British Journal of Criminology, and sits on the Arts and Humanities Research Council’s Peer Review College. His main research interests are in white-collar crime, organised crime, policing and regulation, and transnational criminal markets.